Place the cream, honey and sugar in a small saucepan over a medium heat. Boil, stirring, until the sugar dissolves. Reduce the heat and simmer for 3 minutes. Remove the saucepan from the heat and stir in the lemon juice. 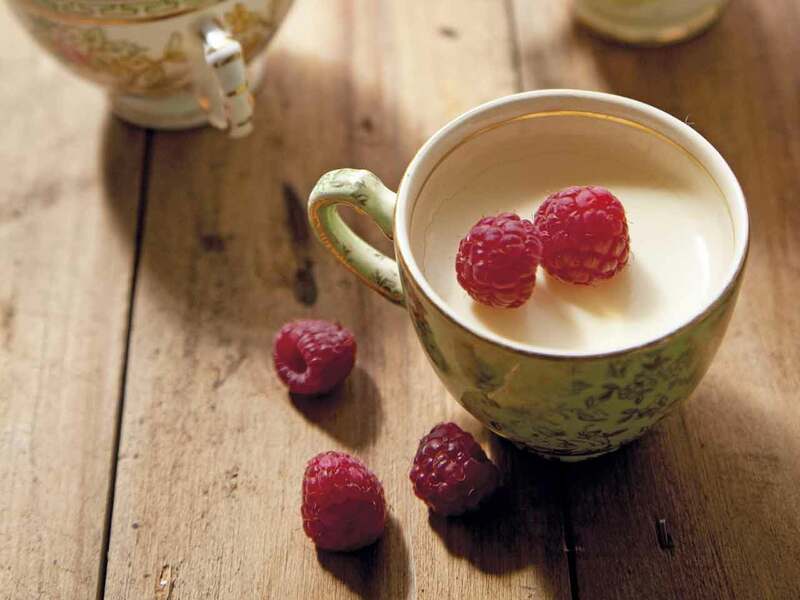 Strain the lemon cream through a sieve into 6–8 ramekins or cups and chill until set. This should take about 4 hours. Serve topped with fresh raspberries. Recipe from Annabel Langbein's The Free Range Cook. Annabel Langbein believes in using good quality, seasonal, locally sourced produce.